My favourite TV Series ‘ THE TRUE BLOOD ‘ is based on her book. She is the author of Southern Vampire Mysteries, the first vampire book that was both cryptic and mirthful. 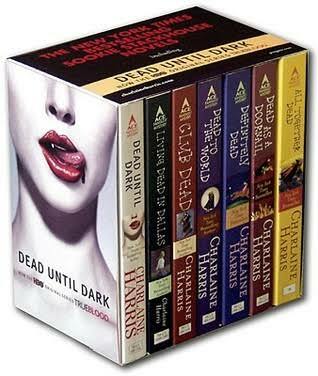 Charlaine Harris is also the writer of other book series like ‘Midnight,Texas’ , ‘Lily Bard’, ‘Harper Connelly’ ,’ Aurora Teagarden’ , ‘ Midnight Crossroad’, ‘ Grave Sight Graphic Novel’ etc. And she answered my question!!!! Me – I have read Sookie Stackhouse series twice and I love the protagonist ‘Sookie’. Actually, I am completely taken by the way you continue the story. Its like watching a movie, a long exciting movie. True Blood has a different story though, some characters are not in it. My question to you is ‘ Are you currently writing any Novel which is similar ( not by story but content like vampires, fairies ) to the Southern Vampire Mysteries? Charlaine Harris – Nishtha, my new series is not that similar to the Sookie books. I wanted a complete change when I ended Sookie’s saga. Thought there are supernatural creatures in Midnight, Texas, they are not quite the same. The first book, MIDNIGHT CROSSROAD, is out in paperback now, and you might give it a try.